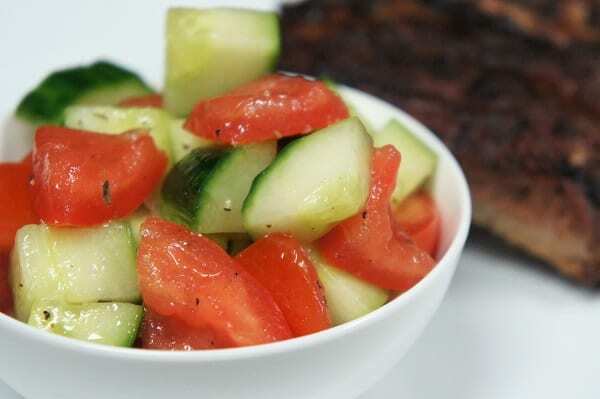 Simply refreshing is the perfect way to describe this cucumber tomato salad. 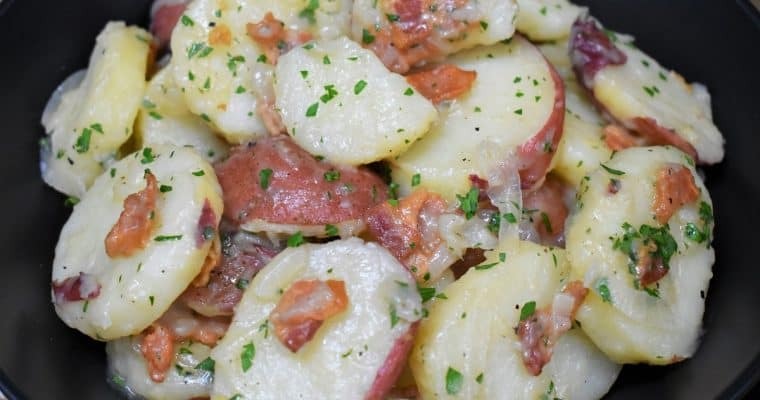 Just a few ingredients come together beautifully to make the perfect side dish for summer. As a bonus, there’s no cooking involved, which is great when it’s 110 degrees outside. 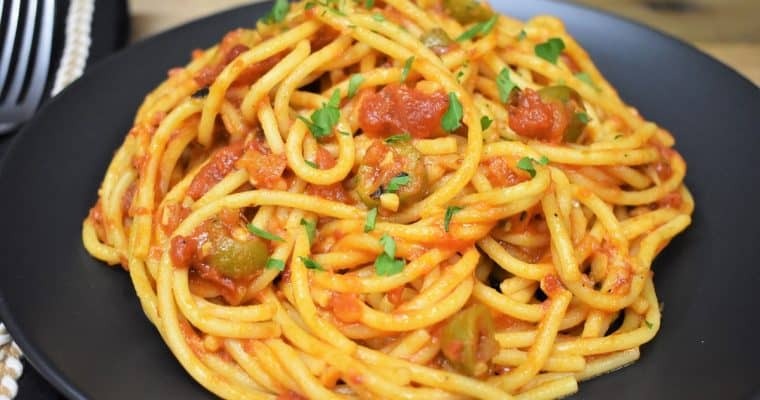 This recipe yields about 4 servings but it is really easy to double or even triple, just adjust the dressing and spices as needed. Enjoy! Cut the cucumber and the tomatoes into bite sized pieces. Slice the onion into paper thin slices; make them as thin as you can. Add the cucumbers, tomatoes and onions to a serving bowl. Dress the salad with the extra virgin olive oil, vinegar, kosher salt, fresh ground black pepper, and dried oregano. Gently stir the salad using a wooden spoon or rubber spatula. Taste the salad and adjust the seasoning, as needed. Cover the bowl tightly with plastic wrap or a lid and refrigerate until ready to serve. We used apple cider vinegar here, but red wine vinegar, or even white wine vinegar will work well. If you’re making this salad for a potluck, you can leave it plain and take different dressings on the side (oil & vinegar, Italian, ranch, etc.). Everyone can dress their own salad with their favorite.